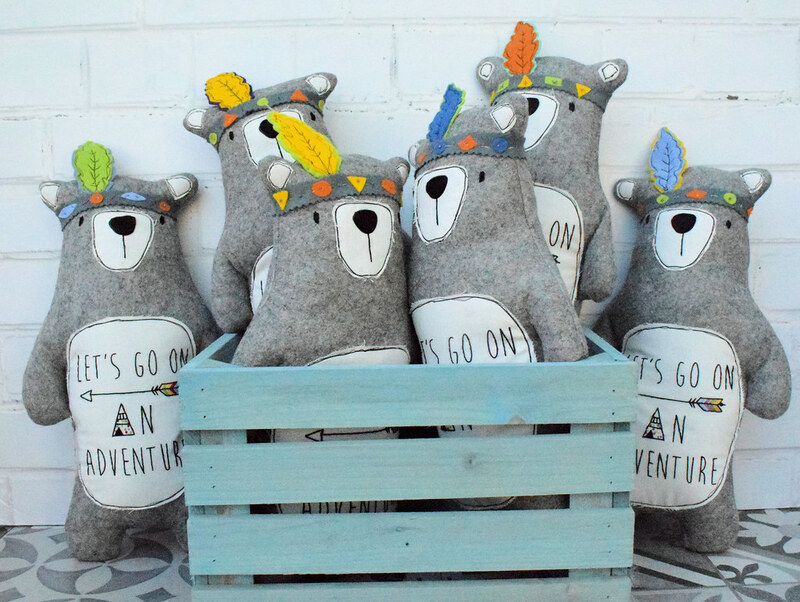 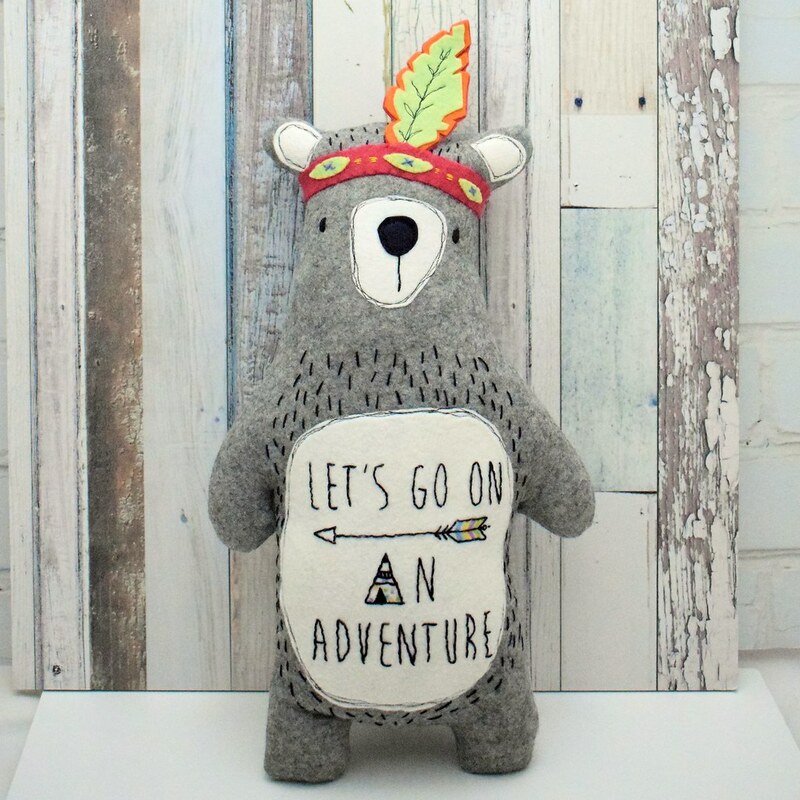 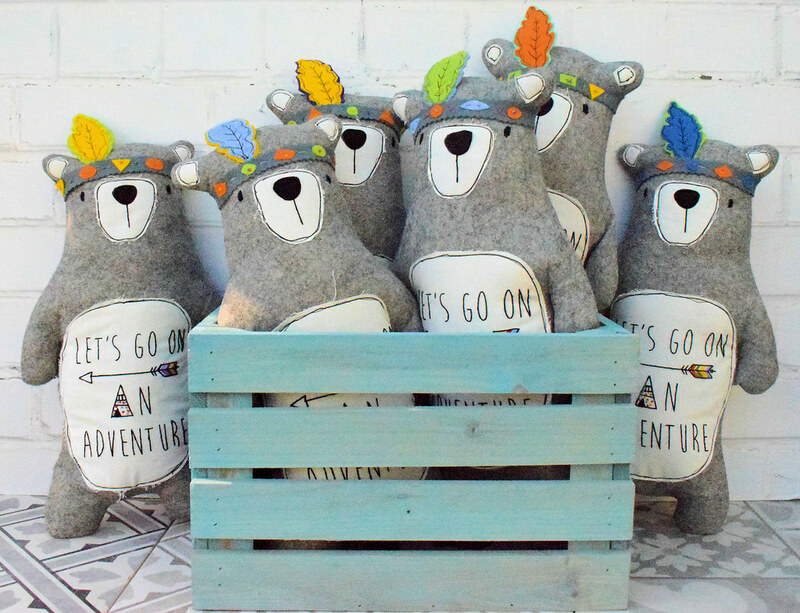 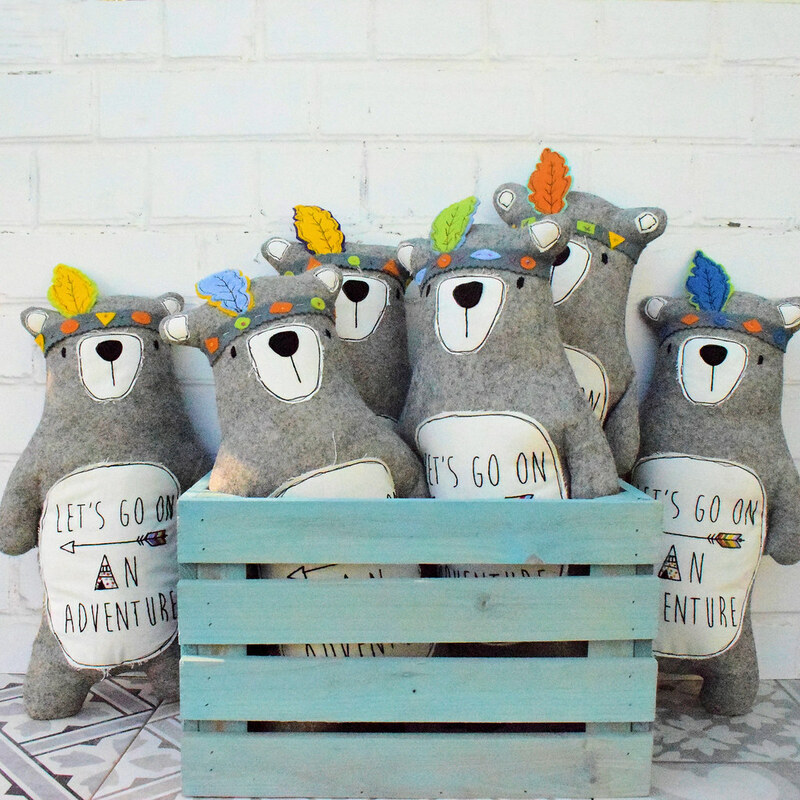 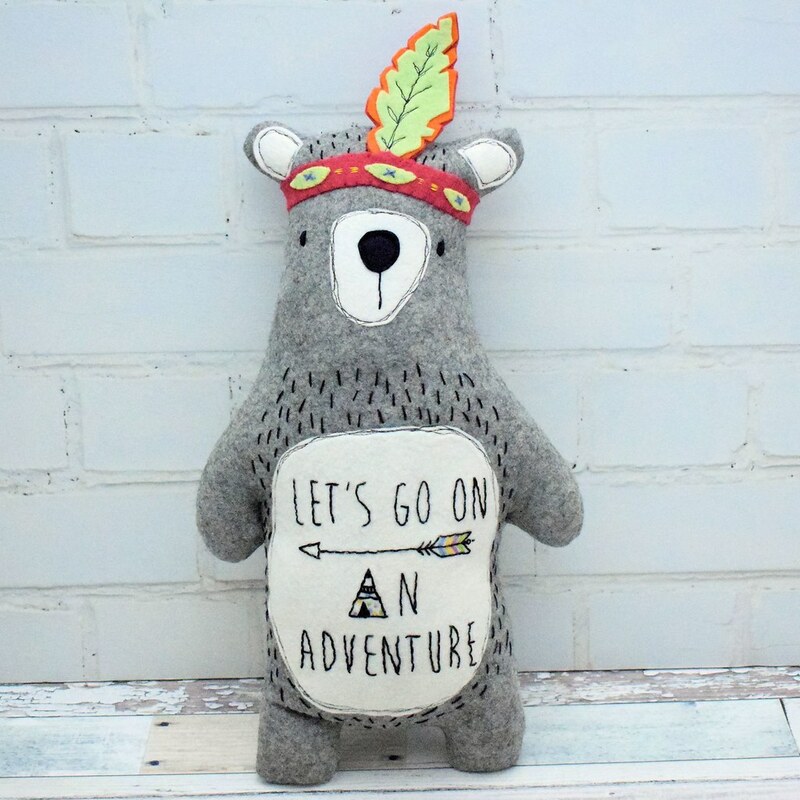 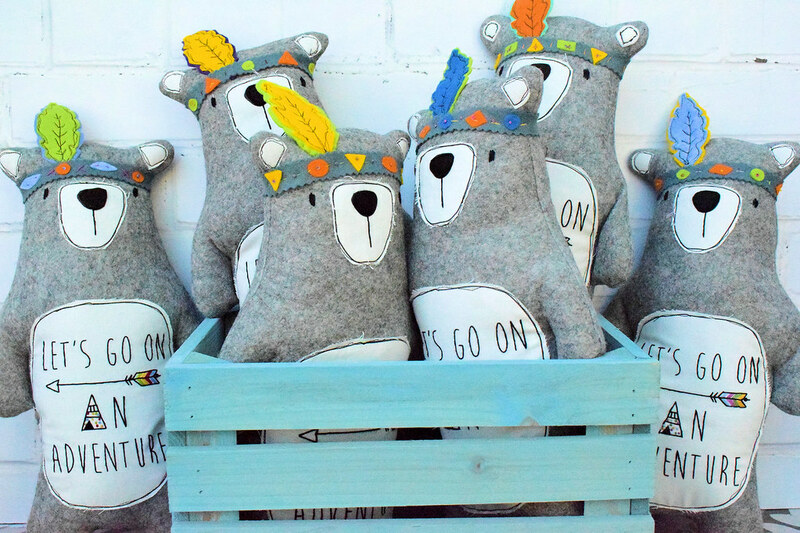 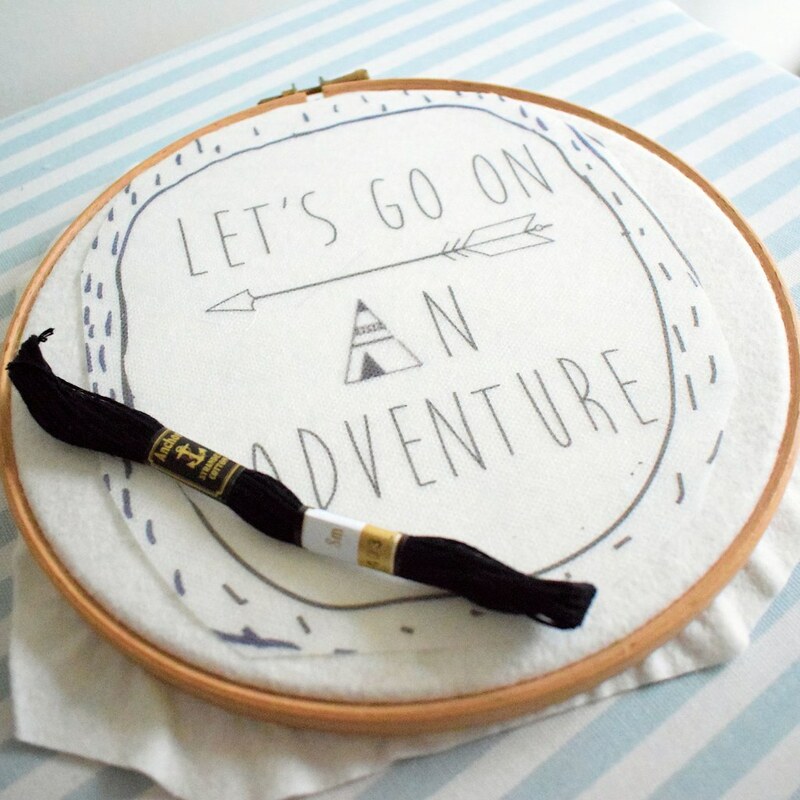 This little bear is keen and eager to set off on his very first adventure and I’m sure that he’ll have no shortage of young explorers happy to oblige! 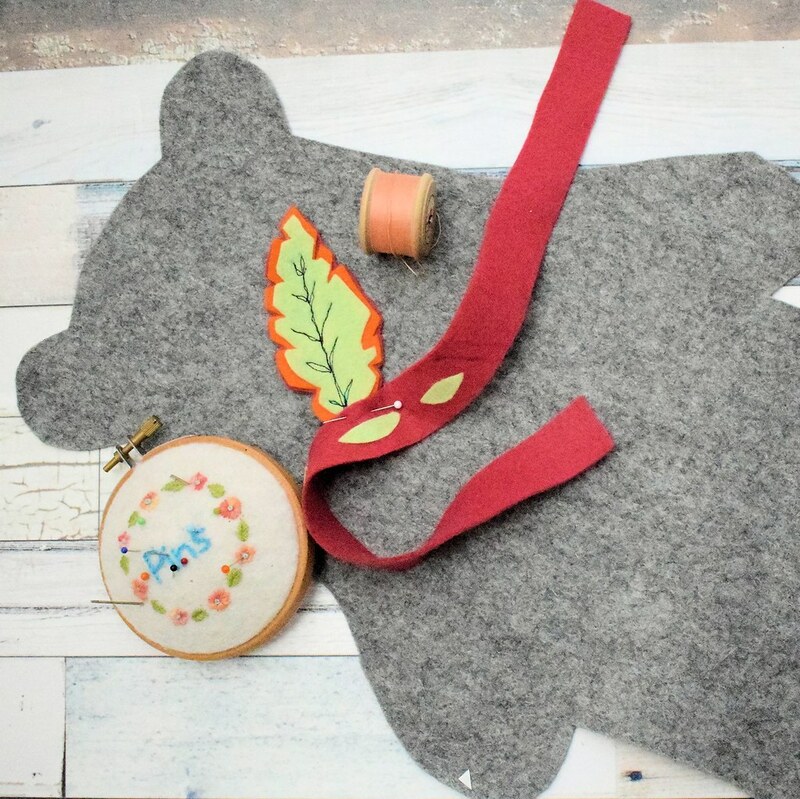 He features a hand embroidered tummy which is appliqued to his round felt body. 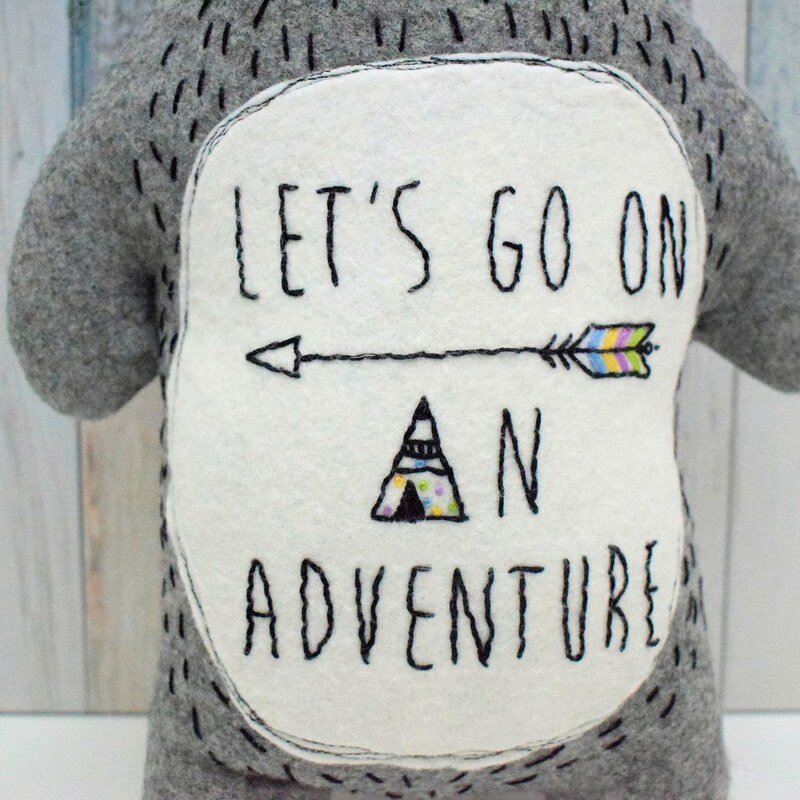 His nose is also felt and his eyes are embroidered so there are no little pieces to cause a choking hazard. 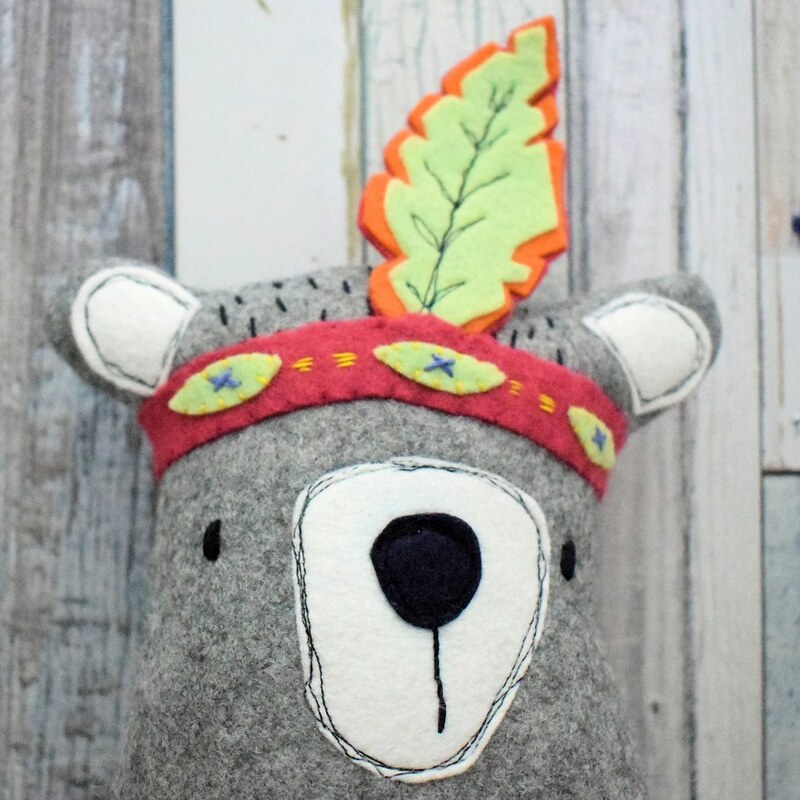 I’ve stitched his headband and feather very firmly to his head and I’m sure my young grandson will enjoy playing with him.